I'm an artist/crafter who enjoys nothing more than creating special scrapbook pages, handmade cards and gifts. Crafty Friday posts will feature all things craft- be it my latest craft project, sketches from my sketchbook, sweets I've baked, or exploring different crafts to learning and developing new craft techniques. Before illness struck, the only thing in life that I thought I wanted to do was study to become a kindergarten teacher. I had my whole heart set on that career. Teaching young children was my passion, and the only passion I thought I had. When I was first diagnosed with multiple chronic illnesses I never thought I'd be passionate about anything else again, but then I found my love for all things craft and handmade. And so I now find myself hoping to eventually set up a small craft and cupcake business selling handmade cards, gifts and beautifully baked made to order treats so that I may work from home around fatigue, pain and side effects. Craft is what keeps me going despite the pain and the total frustration. It helps me to express myself in a positive way, creatively. 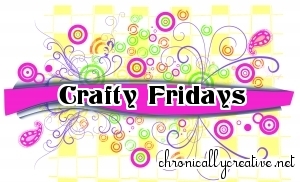 Crafty Fridays are a chance for me to showcase my crafts for your enjoyment and hopefully challenge and inspire you to live creatively also. WARNING: chronic doses of creativity are contagious! I am so happy for you getting this started and all! That is great! I love working with kids too. I used to teach (kindergarden, and 1st-3rd graders) but my life went a different direction and I miss the kids something fierce. But anyway, have you thought about setting up a shop on Etsy.com? I LOVE your new theme day week thing! That is so fun and what a way to keep your hands in a variety of different modalities each week. Very clever. And I applaud your efforts with the Random Acts of Kindness project. What a cool thing that your church does. And look how its inspired this pay-it-forward idea of yours. You are my hero! 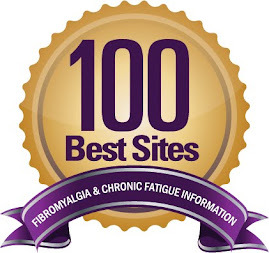 I am starting off slow and just focusing on writing personally right now but I too hope to build my efforts into a much larger project which provides help, awareness, support for research, support for sufferers, their friends and family, and education for the public--to help get these illnesses out from under the radar. I'm looking forward to crafty fridays! 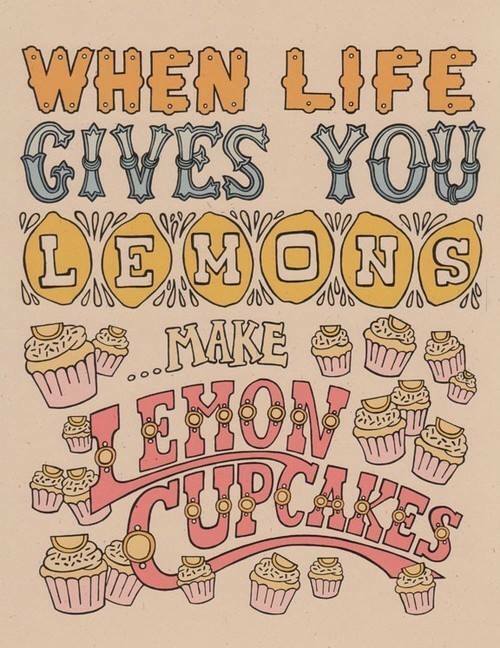 I hope you reach your goal of a cupcake and craft business. Might be too much of a committment, but when I read about what your plan had been, prior to getting sick, I wondered if there were ways you could still interact with the little ones. Could you work one on two, say, with kids doing crafts? You could offer hands on instruction in very small classes. I know you have a lot of health issues to deal with that make working outside the home difficult. Could you volunteer with a local daycare or kindergarten every once and a while to teach crafts, or help out on their craft projects? Just thoughts which you probably have already had! I finally made my paperbag sketchbook (see http://judithwesterfield.wordpress.com/2011/01/14/sketchbook-challenge-making-my-bag-book/ ) thought not quite the way Judith instructed, lol. Thanks Jamey! Oh, you too! Same, it's really tough. I have actually, I would really love to have one hopefully in the near future at this point in time starting a business is a little way off yet due to fatigue but hopefully once the fatigue improves a bit I'll be able to manage to work from home. For now I'm just concerntrating on getting some samples made up for when I do start selling! Oh YAY! I'm so glad you like it! It's going to be fun! Thankyou very much! At the moment I have a short list of bloggers who I'd like to bless through the project and I've got you down as one of them, so hopefully it goes really well, just going to take a bit of time to get it up and running properly, but I'm so excited about it! That sounds fantastic! Go for it! I'll be here to encourage/support you when you do decide to branch out. phylor- I am so looking forward to them too! I think it will be fun and it means that I'll have an aim for the week- to work on one creative project per week. That is a very good idea! I've thought about volunteering but I haven't thought about the craft side of things. The problem is over here the laws are changing to volunteer with children- now you have to be either qualified or working towards a qualification so it does make things a little difficult. I'll look into though and see if some places make exceptions. I've been thinking about volunteering in a nursing homes for one afternoon every few weeks or when I can manage it- painting old ladies nails. That's something I enjoy also, and another option for me to consider.